When the big Gen. Stanley McChrystal gaffe news just broke, experts across the globe were desperately scrolling past near-naked pics of Lady Gaga on the Rolling Stone Web site, seeking the offending piece. But now it’s online and the very first sentence of the Michael Hastings’ piece makes me squirm. ‘How'd I get screwed into going to this dinner?" McChrystal asks at the start of the piece. How did he get screwed granting Hastings such access? Yes, yes, America’s top commander in Afghanistan, Gen. Stanley McChrystal’s latest gaffe is a big “oh boy” even by McChrystal’s standards. In the Rolling Stone article, “The Runaway General,” which portrays him as a lone wolf in typically testosterone-driven, pop-culture magazine prose, McChrystal takes on a slew of Washington bigwigs. He will pay for his folly of course: the top US commander in Afghanistan has been summoned to the White House for a sound drubbing, no doubt. In the past, McChrystal’s “oh boy” quotes and speeches have been forgiven and we’ve been given a “kiss-and-make up” moment. But this time, it seems serious. Expect a lot of finger-wagging over loose lips and poor judgment granting such access to a freelancer commissioned by a pop-culture magazine. The admonishments are already pouring in fast and hard. President Obama is, for the record, “angry” and has blasted McChrystal’s “poor judgment”. Admiral Mike Mullen, chairman of the US Joint Chiefs of Staff, has already expressed his “deep disappointment” over the article. US Ambassador to Afghanistan Karl Eikenberry, who is scathingly criticized in the article, has publicly stated that he is committed to “working together” with McChrystal. But I have still to see what the classified cables are saying. The last McChrystal-Eikenberry spat, back in Nov. 2009, was over two classified cables the US ambassador dispatched, advising Obama not to send more troops to Afghanistan just as McChrystal was pushing for a troop surge to the then-dithering president. Commentators will draw parallels between the sound civilian-military coordination between then US Ambassador to Iraq Ryan Cocker and then US military chief David Petraeus in Iraq back in 2007. They will then bemoan the lack of similar chemistry between Eikenberry and McChrystal. But frankly, when you read the incriminating text can you honestly fault the general for telling it like it is? Here’s a man with the plan to redress the errors committed in Afghanistan when US attention and military resources got hijacked by the Iraq War after 2003. We all know this, we’ve read all about it. And yet, just when the surge strategy is being hammered out, senior Washington honchos apparently got cold feet. Is it really surprising then that McChrystal, upon hearing IN THE MEDIA, that Ambassador Eikenberry was secretly dispatching cables undermining his military strategy, got a bit…uhm…mad? “Here's one that covers his flank for the history books,” McChrystal told the Rolling Stone about Eikenberry. “Now if we fail, they can say, 'I told you so'." Cover his flank for the history books – that’s a good one, Stan-the-man. Or take the bite-in, bite-on issue: Remember US Vice President Joe Biden’s mince-no-words call for a limited counter-terror approach in those critical days when the world awaited word on Obama’s new Afghan strategy? So when the Rolling Stone article quotes an unnamed McChrystal aide quipping, “Biden? Did you say: Bite me?” I find it funny. And can you genuinely fault someone for not wanting to open Richard Holbrooke’s emails? I can’t. Of course you can’t have loose-lipped military men. McChrystal is going to regret what he said – or more likely, the access he provided freelance journalist Michael Hastings. He’s already expressed his dismay over his conduct. "It was a mistake reflecting poor judgement and should never have happened," he said in a statement earlier Tuesday, thereby attracting even more publicity for the much-awaited Rolling Stone issue. So I’m going to give the man a break and wish him a chin-up before that meeting in Washington. The General is a sick man. You cannot make such comments about your president however angry you maybe and the language is digusting he should be dismissed from the army. I think McCrystal's comments and those of his aides reveal the extent of frustration at both the Obama White House as well as the gnawing feeling that things are only getting worse in Afghanistan surge or no surge. Obama and team are really a house divided over Afghanistan, unlike Bush who owned the war, Obama simply inherited something which would not win him another Nobel Peace Prize. Being fired by Prez Obama might actually help prevent McCrystal's legacy from being tarnished by defeat in Afghanistan. A direction that war is heading. What General McChrystal and his staff said may be understandable, but he knew the reporter from the liberal Rolling Stone magazine was there. It could have been hubris, “bad judgment”, or intentionally undermining his civilian commander-in-chief. None of these are good qualities in a general. One of the strengths of America’s democratic republic is civilian control of the military. That is why the elected president is commander-in-chief of the armed forces. Publicly undermining the civilian commander-in-chief is unacceptable conduct for a general. Actually, McChrystal "mis-spoke" when he was urging the troop surge in Afganistan in 2009, I'm sure he believed he could duplicate the surge in Iraq where thousand of insurgents were paid "salaries" to not fight coalition troops. Different tribes, different war. The Pashtuns don't want foreigners in their country, period. The Taliban completely control the country except for the major cities, Kabul and Kandahar, and the only successful bribery, for which the US paid a minimum of $4million according to New York Times, was to buy off the Taliban who control the Kyber Pass through which convoys of supply trucks bring provisions to the troops. That money helps fund the insurgency, of course. Ambassador Eikenberry was right - McChrystal was, and is, wrong. The French, Germans and Brits know it, and they are all planning withdrawal of their troops. US is in the same position that the Russians were in with no chance of victory, and no way to get out without leaving Karzai defenseless. Karzai, of course, is cozying up with the Taliban, knowing withdrawal of US troops is inevitable no matter what happens on the ground. I suppose this was intended as a "cute" blog post, but its mostly insipid drivel. 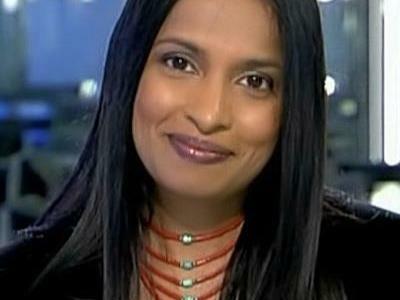 Leela Jacinto is an award-winning international news reporter who has doggedly pursued stories across the globe. Along the way, she has harangued some officials, wined and dined with others, but has always kept her eyes on what’s in it for ordinary folks. 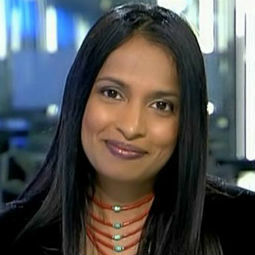 A graduate of New York University, Leela has previously worked for ABC News in New York before joining FRANCE 24. In this blog, she provides insights on things you don’t necessarily see in the news bytes. Why should Turkey "get tough"